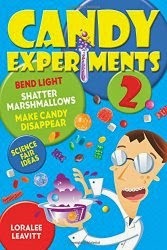 Here's a video (not mine) of two different candy experiments: Clamshell Skittles and Expanding Candy. Fast forward until the middle to see the Skittles in action. I loved the clamshell skittles because if you microwave them on medium or low, they really crack in half, and gulp like clams.